You can use google adsense inside your WordPress website to get more money and generate revenue from your website. This article will help you to increase your revenue from WordPress website using google adsense. Google is one of the best ads platform in internet world. So google makes a tool which is google adsense to help websites owners to get ads on their websites and make revenue. 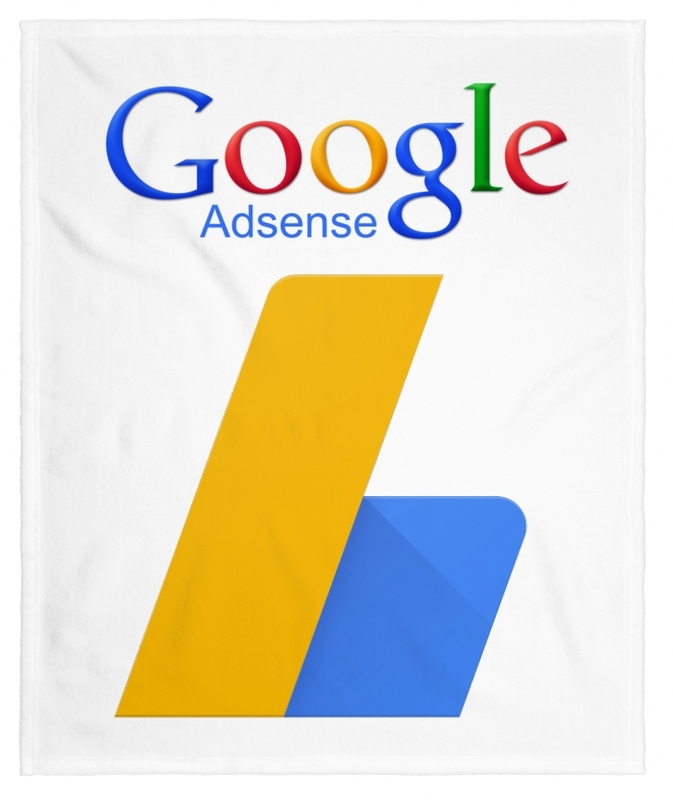 You can use google adsense to put text, image, video, and other interactive advertisements on your websites and earn money. Google adsense revenue depends on the number of clicks on the ad so this technique is cost-per-click (CPC). The more the visitors clicks on the ads, the more money you received. The visitors clicks on ads according to their interest.The amount you receive per click varies based on ad content and user’s demographic. Traffic from tier-1 countries (U.S, U.K, Australia, and Canada) usually gets a much higher CPC vs traffic from tier-3 countries. This plugin will help you to insert ads inside WordPress posts. Using this free plugin, you can insert ads in any place where you want between paragraphs to increase the number of bress and increase your revenue. It’s easy to use and don’t need any advanced knowledge to use it or insert ads in any place in your website. Just open “post adverts” and choose where you want to make the advertisement to appear and it will appear automatically. It’s a premium plugin which is used to manage your ads. You can use it to manage advertisements from all advertising companies including google adsense. It’s easy to use. You can create the advertisement and insert it inside the website, pages, and posts additionally manage all types of ads in one plugin. You can also display ads using drag and drop WordPress widgets. Sell and serve ads on any website, using this php ad management script. It can even be used as a WordPress plugin right out of the box. You can use it easily to manage and insert AdSense ads into your WordPress site. It’s compatible with all WordPress themes but it’s recommended to use one of the themes that are optimized with google adsense. We mentioned before that ad size and placement affects the money that you received. So Ezoic plugin can help you to test your ads and manage them using artificial intelligence to be sure of your revenue and try to get the more money. This is a free tool and available for all bloggers who have more than 20,000 page views a month. This service once configured (your account manager will help you), will automatically start experimenting with Ads to optimize user experience. It can give you some advice about the ads and user experience and how to improve them. Ezoic can increase your revenue by 30-60%. You should try putting Adsense ads around the content and above the fold. However, the ads above the fold give you better money. There is one thing that bloggers often ignore link-based ads. Link-based ads are different from banner ads, and they don’t decrease the CTR of main ads if optimized properly. 336 * 280 : Large Rectangle. Google adsense works better when the traffic comes from search engines. There is a popular problem in the society of adsense which your website may give your more and more engagement by the visitors, and yet you don’t receive a quite revenue. This is mostly due to CPC and traffic sources. You have to try to know more about CPC (cost per click) to start targeting traffic from the points that give you more money like countries (USA and UK), and you will end up getting high CPC. There are many types of ads that google support for its customer like text, image, video, and audio. If you think that ads depend on images are better, you are wrong. You need to wide the source of your money so you need to use the variety of ads types to get more money. By blocking an ad type or ad category, you decrease the competition on your ad, and this also decreases the CPM (cost per thousand impression) of your ads. I prefer to use both ad types. If you want to increase Adsense revenue, you can easily configure Adsense ads to match with your page background and colors, and add 468*60 image ads or text link ads in between posts. You can also add 7-10 pictures, keeping in mind that you want to offer a good user experience to your readers. Make sure to add enough space between ads & content, so that it doesn’t violate google adsense policies. When you create a channel on google adsense, you have the option to add more details about the ad types you want, and then put your ad up for auction in the market by opting for placement targeting. This increases the competition, and the ad value on your site goes up. You must do this manually for every custom channel. To enable placement targeting on your existing custom channel, log in to your Adsense account > My ads > Custom > Custom Channels. Next, click on one of the names and a screen will pop up. Simply add the details and put a checkmark at placement targeting. This will give your ads more value, so you can get more money. Of course, during your journey with ads and google adsense, you will observe that some ads don’t give you the performance that you need. There used to be a site showing the adsense ad “black list”, but if you have compiled a list of your own or you know of any site with very poor performance, you can block that advertiser’s URL.You can also block your competitor’s ads from displaying on your site. Ads are categorized too on google adsense, so like blocking URLs, you can block a specific category. You can block categories of ads which are performing poorly. It is always recommended to write on the trending topics and current issues that the public would love to share. Trending topic improves click through rate and so social shares. Likewise, writing on trending, and targeted keywords is always beneficial. It’s recommend to choose high CPC paying keywords while writing the content for your blogs. Such keyword niche will drive more traffic and definitely give you a massive opportunity to make more money from adsense. Look for the keywords which have higher monthly searches and low competition. This way you will improve traffic and so the income. If you have a more good tips, please share them with us.